Royer shockmount for microphones with 1" diameter. The new RSM-SS1 Sling-Shock features an innovative approach that does away with elastic bands, rubber bungee cords or synthetic bushings. The adjustable microphone grip allows for a secure hold with flexible microphone positioning, and its felt-lined interior protects your microphone's finish. 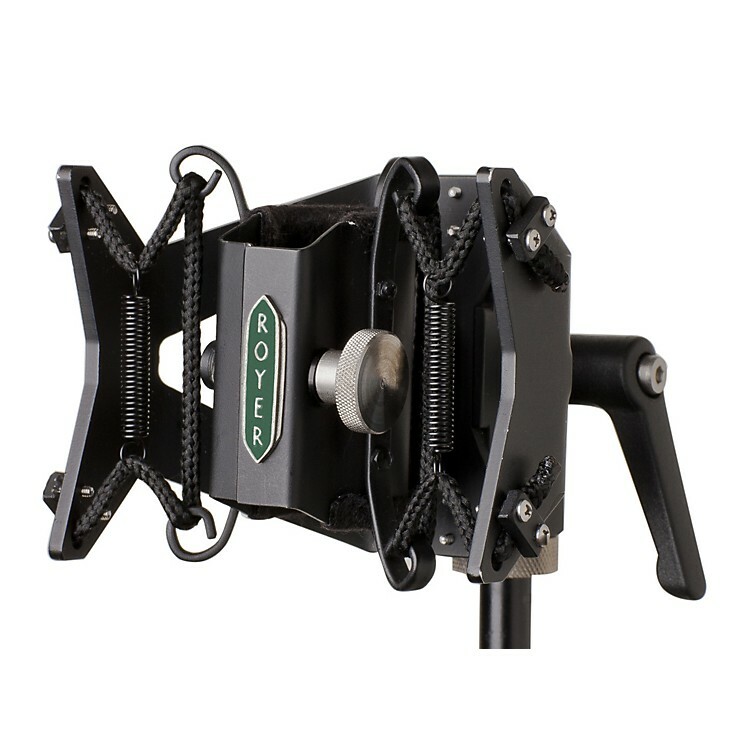 The RSM-SS1 Sling-Shock fits Royer's 1-inch diameter microphones (see specifications) and other cylindrical microphones measuring approximately 1-inch in diameter (+/- 1/8 inch). All good studio microphones should be placed in shock mounts for recording. Shock mounts keep vibrations from making their way up the mic stand, transferring into the microphone and showing up on your tracks as unwelcome noise. Sometimes vibration related noise that's unnoticeable while you're tracking shows up when you master, then suddenly it's "What's up with the thumps and noise in the bottom end? With the RSM-SS1, there is no shoulda, coulda, woulda. Order today and assure your mixes freedom from uwnwanted noise and vibrations.